When I was a kid, we had one of those station wagons with the wood paneling on the sides and enough space to sleep six. In retrospect, it must have been an environmental disaster, burning up a ridiculous amount of leaded gasoline that we added to the tank by lifting up the license plate and unscrewing the gas cap. Still, I remember riding right next to my mother on the front bench seat, my legs sticking to the warm vinyl upholstery. We’d go to places like the “health food” store. (Once upon a time, there were grocery stores and health food stores because, apparently, the food they sold in grocery stores was not healthy. Also, only communists shop in health food stores.) At the health food store, they would give kids a balloon. 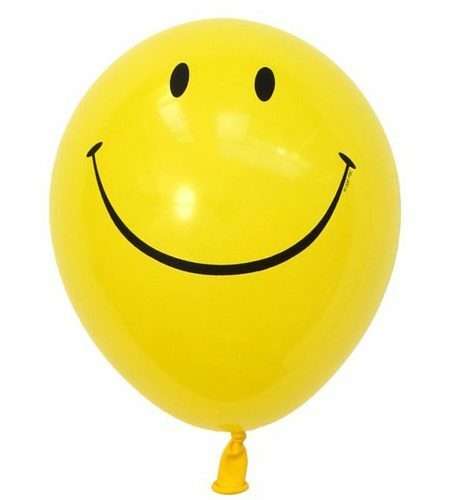 As I remember it, the balloon was yellow and had a smiley face on it. It’s possible that I’m conflating memories, but whatever. 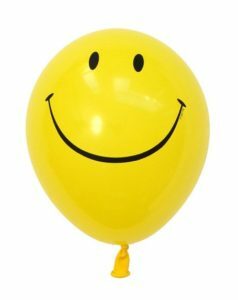 On one particular occasion, we went to the health food store and I got a balloon and as soon as we exited the store, it slipped out of my chubby little kid fingers. I can remember being not so much upset as just kind of astounded while I watched the smiling face get smaller and smaller as it got higher and higher. “Where is it going?” I wondered. This question may put me in good company with the apostles on this Feast of the Ascension. Imagine them there, slack jawed, as Jesus slips away from their fingers. (He’d already warned them not to hold on.) It’s one of those moments where, even if you know what is coming, it is hard to believe until it actually happens. Kind of like kissing good night after a great first date. And just like that kiss, it can leave us with some confusion. Where did the Son of Man actually go? What happens now? Is Jesus lost to me, just like that balloon from the health food store? Am I stuck here on the ground all over again? There’s a song by a friend of mine that recounts his dream of being in heaven. On encountering a “cynical savior,” our celestial interloper gets the holy stink eye and wonders if he’s not even worth Jesus’ time. Grace comes in the form of a voice from “the Carolina blue,” urging the Son to take it easy on this fool. So when the Savior says “hey, I hear when you pray,” our protagonist floats, just like a balloon. “When you get to heaven,” says the chorus, “God gives you the balloons you lost when you were alive.” Nothing is truly lost. We may lose sight of it for a while, but the God who cares about the littlest sparrows care about our prayers as well. So much so that actual human flesh and blood sits next to God right now. That’s right!